Artwall-and-co .com is an online shop for you to feel good at home thanks to a decoration to your taste and easily affordable. You will find on our site a collection of paintings, photos in a modern, contemporary, ethnic etc style so that you can decorate your flat or home according to your own liking. Artwall-and-co.com also supports creators. You will find on our site talented French artists proposing their creations in limited or unique edition. Artwall-and-co.com also means quality products and your satisfaction guaranteed. All our pictures are painted or printed on cotton canvas stretched on Canadian pine. Each picture is anti-uv and protected against during production for an inside use. We send your orders free within 24 h and our after sales department is here for you 24/7. 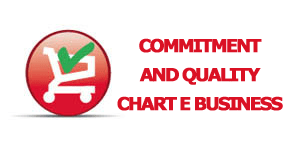 Finally we do our best for each customer to feel confident from the first click on. The site artwall-and-co.com rests on one of the safest and most professional solution of the market, Prestashop. Your data and customer’s account are encrypted and protected by a personal password. Our online payments are secured by BNP PARIBAS (n°1 bank in Europe).